First fighting drones on the market! 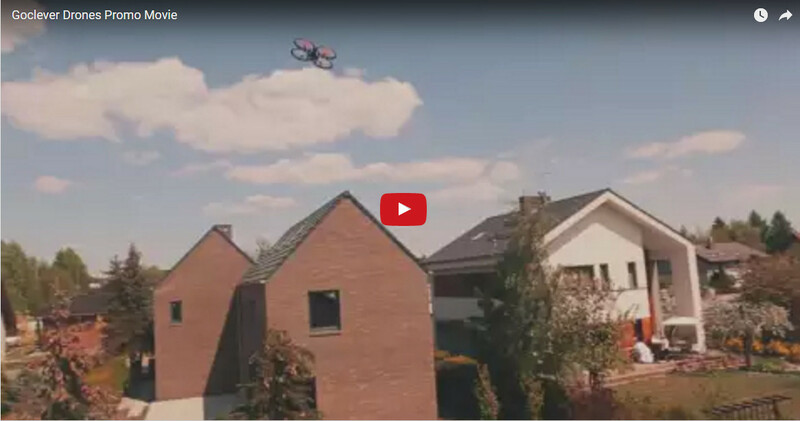 GOCLEVER SKY FIGHTERS is a set of 2 drones intended for two people. Each drone is equipped with a cannon emitting infrared waves. The game has one rule: shoot down the enemy drone the highest number of times. The size of the devices ensures great fun indoors, and their aerodynamic properties guarantee unforgettable experience. Size matters, particularly in aerodynamics. This holds true also in the case of GOCLEVER drones. Each SKY FIGHTER has been specially designed to combine the most important characteristics: small size and stability. Its size (18x18 cm) enables dynamic flight, both outdoors, as well as indoors, while the propeller structure guarantees flight stability without the need for additional calibration. The device is equipped with 6-axis gyroscope, guaranteeing stability during flights, even during moderately windy days. Triple propellers ensure additional stability, while at the same time being quieter than their standard equivalents. Thanks to the speed change button, located on each remote, a leisure flight can turn into a frenzied pursuit of the opponent or agile dodges to run from the enemy's fire. Sky-high fight between drones is the most important and the most interesting functionality of SKY FIGHTERS. Every drone can shoot down the opponent. The remote has a special button for shooting. The game's rule is simple: shoot down your enemy 4 times, but don't let him shoot you. After each successful hit, the enemy drone loses stability for a moment. After the last hit, it will fall to the ground. Sky-high flights are not only for racing among obstacles and precise flights, but also stunts. The flight controller (automatic remote) located inside each drone can make stunts at a 360° scope. After pressing the appropriate button on the remote and selecting a direction, the drone will make a spectacular spin, which is sure to attract attention of the passers-by. 360° stunts are also helpful to mislead your opponent when he prepares to fire. The set includes a spare propeller set (8 pieces in total), propeller covers (4 pieces), tools necessary to replace them, USB cable for battery charging, as well as 2 batteries 220 mAh. Mam 2 dzieci i bawimy się razem. Przyjemna zabawa na swieżym powietrzu. Moje dzieci bardzo lubia technologię i mamy ulubione miejsce do latania w Gdańsku.